The failure of a single piece of equipment in Arizona ignited a massive blackout that left nearly 6 million people without power, baffling utility officials and highlighting the vulnerability of the U.S. electrical grid. Authorities in Arizona said Friday that safeguards built into the system should have prevented the breakdown at a substation from cascading across Southern Arizona and into California and Northern Mexico. They didn't, and the resulting instability led to the sudden shutdown of the San Onofre nuclear-power plant, about 50 miles north of San Diego, cutting off power to a large swath of Southern California. "We lost all connection to the outside world," said James Avery, San Diego Gas & Electric's senior vice president of power supply. "This happened in a matter of seconds." Energy experts and utility officials agreed the breakdown was troubling. "We're struggling," said Daniel Froetscher, vice president of energy delivery for Arizona Public Service (APS), the largest electricity provider in Arizona. "We have to take a hard look at the system design and figure out exactly what happened... We don't know the underlying causes." Among other concerns, some experts said the failure of safeguards suggest the potential for a saboteur to take down a regional power system. Such incidents "remind us that on a day-to-day basis we rely on a very complicated electrical system," said Sarah Ladislaw, a senior fellow with the Center for Strategic and International Studies who specializes in energy security. An APS worker was switching out a capacitor, which controls voltage levels, outside Yuma, Ariz., near the California border. Shortly after, a section of a major regional power line failed, eventually spreading trouble further down in California and later Mexico, officials said. Among the questions is why safeguards to keep power flowing appeared at first to work. There was a roughly 10-minute gap between the time the power line failed and customers lost electricity, said Daniel Froetscher, vice president of energy delivery for Phoenix-based APS. A polar geomagnetic storm (Kp=5) is in progress following the impact of a CME around 1100 UT on Sept. 9th. This could be the first of several hits from a series of CMEs expected to reach Earth during the weekend. High-latitude sky watchers should be alert for auroras after nightfall. Today, September 09, 2011 at 12.45 UTC the first CME arrived as a magnetic shockwave on my instruments. There is also an effect in signal strength from my vlf receivers, coming through electrons in the solarwind cloud. The magnetic field is unstable at the moment,it means a big change for auroras coming night. 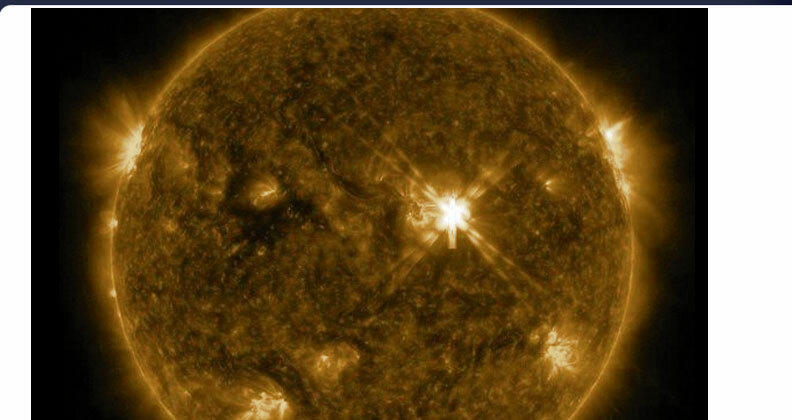 These measurements reveal the innate electrical connection between the Earth and our sun, now becoming a significant problem for terrestrial technologies that are unable to handle electrical surges such as those that are now known to accompany intense solar flare activity. 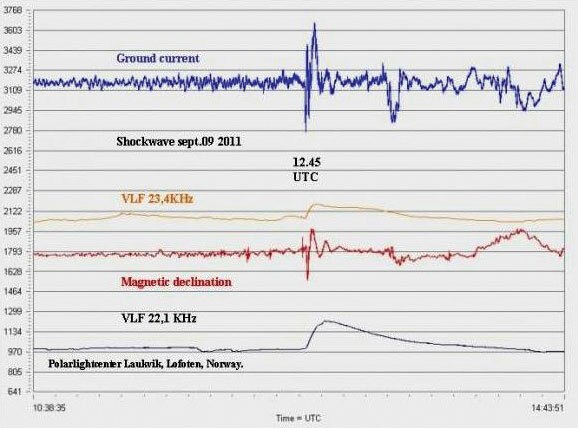 The electrical ground currents measured in Laukvik, Norway during the magnetic wave blast of the September 9, 2011 CME are directly responsible for the fires that simultaneously ignited at the Yuma, Arizona power substation. The claim made by officials that only one piece of equipment failed is denied by the fact that ten minutes transpired after the unit failed, before subsequent systematic failures plunged all 6 million people in the entire region into darkness. The invisible force that completes the electrical currents passing from the sun to the Earth can be identified as standing waves of resonant infrasound that become ambiently focused by the Great Pyramid of Giza, Egypt. These concentrated acoustic forces have been scientifically identified as the cause of electronics glitches, transformer explosions, spontaneous acceleration, cracked airplane windshields and many other very dangerous effects. These stationary waveforms were first discovered by Nikola Tesla on July 3, 1899 and inspired his development of giant wireless towers that functioned in much the same way as the ancient pyramids of the world, as a nonlinear lensing system for focusing solar energy into strong electrical currents in the ground. Tesla's experimentation at his Colorado Springs laboratory produced giant lightning strikes and plasma orbs inside the warehouse building, just as atmospheric activity was once stimulated as red sprites above the pyramids. Yuma, Arizona (32.69°N 114.63°W) is a convergence point of ultra-low frequency standing waves, being 7,575 miles from the Great Pyramid, or 30.4% of the Earth's mean circumference distance (of 24,892 miles). Laukvik, Norway (68.39°N 14.43°E) is 2,740 miles from the Great Pyramid, or 11.00%. Another simultaneous fire was spontaneously ignited by the CME blastwave in Corvallis, Oregon. 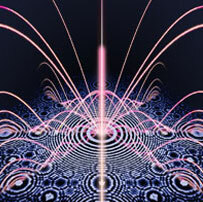 The increasingly measurable effects of acoustic and electrical signals received from our sun have also been linked with significant variations in atomic decay rates, as well as global evaporation and precipitation rates, and informs the advanced scientific knowledge passed down to us as ancient prophetic messages concerning the coming of the Red Dawn and the destruction of the Int'l Space Station.